The lounge hosts our meditation group, Bible study, and most social events. It’s also available 24/7 for our students to hang out. 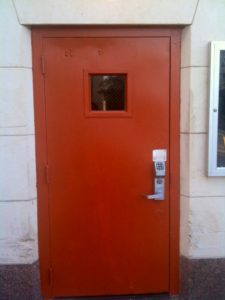 Look for the orange door just off of 21st Street, in the alley between University Christian Church and the UTC. The chapel is where we have worship each week and some special events like concerts and film screenings. 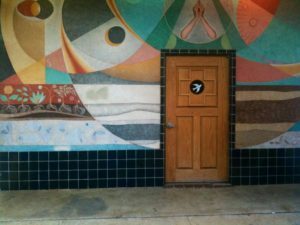 Look for the mural on the south side of 22nd Street between Guadalupe and San Antonio – the chapel door is right in the middle. Note: The addresses listed are for navigation purposes only. They’ll get you pretty close to the door, but don’t mail anything to them, and don’t try to drive to them because there’s no parking lot visible from the door. Parking for the lounge is on University Avenue across from University Christian Church. Parking for the chapel is in the Callaway House parking garage on Nueces Street just south of 22nd Street.